With the goal of contributing to the socioeconomic and educational development of the community, the English Language Integration (ELI) program was designed in order to help those who have an understanding of the English language gain the necessary abilities in order to thrive within the American system. The ELI program manages aspects related to language acquisition along with content and vocabulary development, allowing participants to quickly reach real world language skills through personalized classes, which help students who have previously studied English in their home countries find work in their career fields. 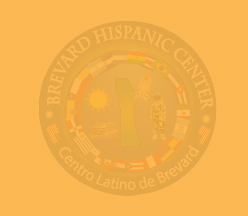 This initiative was born at one of the editions of the Viva Brevard Festival, when Carlos Barba, a community volunteer leader presented the idea of building a multicultural park in the city of Palm Bay. This project was presented to the then City Administrator, Sue Hann and the Director of Parks and Recreation, Heidi Lapin, who successfully approved the initiative, which was later approved by the City Council of Palm Bay. The multicultural park consists of the construction of an enormous amphitheater with a common area that illustrates a map of North, Central, and South America and the Islands of the Caribbean. Pavilions to exhibit cultures from around the world that have influenced the New Continent and will serve, as a venue for large events will surround the area. Its construction and development is currently in process. 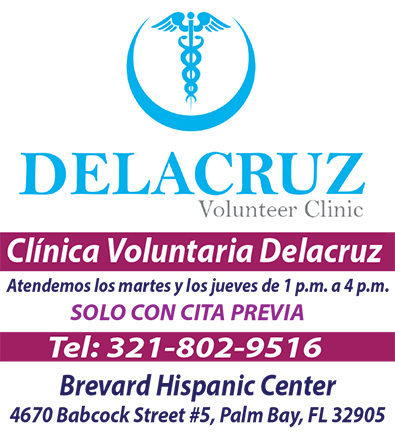 The DelaCruz Volunteer Health Clinic at the Brevard Hispanic Center offers free health assistance through its clinic to people of low-income who do not have health insurance. According to the patient’s health condition, this organization will gather the necessary resources through alliances with institutions and doctor volunteers so that the appropriate attention will be provided without the worry of not having the finances to pay for such services. The center offers appointments on Tuesdays and Thursdays from 12:00 pm to 5:00 pm at its location.